Marie-Louise von Franz, Ph.D. (1915-1998), worked closely with C.G. Jung for almost thirty years. She is an acknowledged authority on the application of Jungian psychology to dreams, alchemical texts and fairy tales, and author of many books. Her titles in this series include Redemption Motifs in Fairy Tales (1980), On Divination and Synchronicity: The Psychology of Meaningful Chance (1980), Alchemy: An Introduction to the Symbolism and the Psychology (1980), The Cat: A Tale of Feminine Redemption (1999), and The Problem of the Puer Aeternus (2000). This book consists of memories of Dr. von Franz by those who knew and loved her, with detailed appreciation of her life and work in the service of Jung’s school of analytical psychology. Among the contributors are Thomas B. Kirsch, Anne Maguire, James A. Hall, Barbara Davies, Daryl Sharp and Robert S. Henderson. 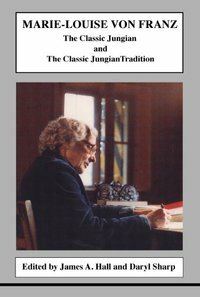 An additional section explores what is meant by the “classic Jungian tradition,” which Dr. von Franz exemplified so substantially while putting her own unique stamp on it. This title consists of memories of Dr. von Franz by those who knew and loved her, with detailed appreciation of her life and work in the service of Jung's school of analytical psychology.